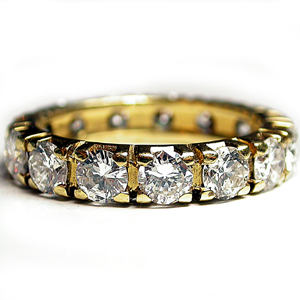 This pretty 18 karat yellow gold eternity band dazzles with four prong-set 15 brilliant cut diamonds. The E/F color, VVS/VS clarity diamonds total 3.00 carat. The band is 3.9 millimeters all around.